Whitehorse, it’s little wonder that Yukon’s capital is becoming one of Canada’s most popular convention destinations: this vibrant, bustling city of 23,276 is a springboard to experiences that no delegate ever forgets. Here, a colorful past and sprawling wilderness are close at hand but far from ordinary. A leisurely evening stroll from the hotel to local historic sites becomes a magical journey back to frontier days, while a short drive offers access to countless pristine valleys, crystal-clear lakes and stunning alpine vistas. 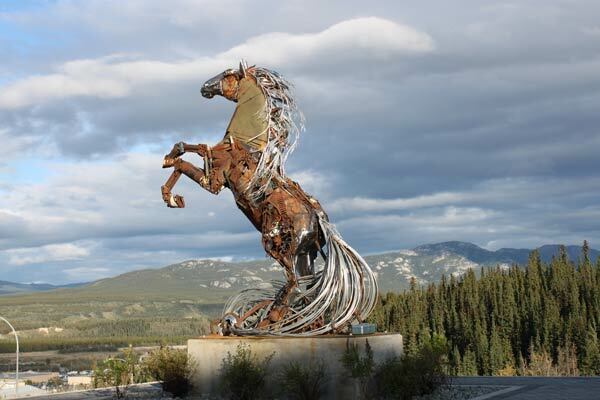 Given this inspiring setting and the myriad ways to engage it – from day hiking to museum hopping – a trip to Whitehorse truly is a detour from the beaten path. And yet, the city offers the modern amenities that discerning delegates demand from even the most exotic destination. With three direct flights from Vancouver each day, travelers connecting from across the country arrive feeling fresh and ready for business. Local convention facilities and expertise do not disappoint. Whitehorse easily satisfies the needs of up to 1,000 visiting delegates, whether this means providing professional catering or links to the outside world through High Speed Internet and cell phone service. It also offers the territory’s widest range of options in accommodation, fine dining and unique “Made in Yukon” products. Even big-city golfers will be pleasantly surprised by what they find in the woods around the city’s attractive downtown core.